Topics: Exchange Platform, Public Formula Library, Premium, Physics, and Mathematics. 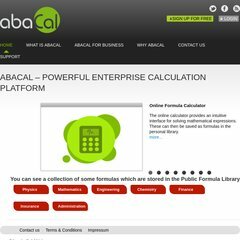 abacal.com Math - Formula - PYTHAGORAS - Law of Pythagoras for a right-angle ..
304 users visit the site each day, each viewing 1.50 pages. Metanet Ag Switzerland Zuerich is the location of the Apache/2 server. PHP/5.2.6-1+lenny6 is its coding language environment. There are 5 DNS records, such as ns2.mydyndns.org, ns3.mydyndns.org, and ns4.mydyndns.org.